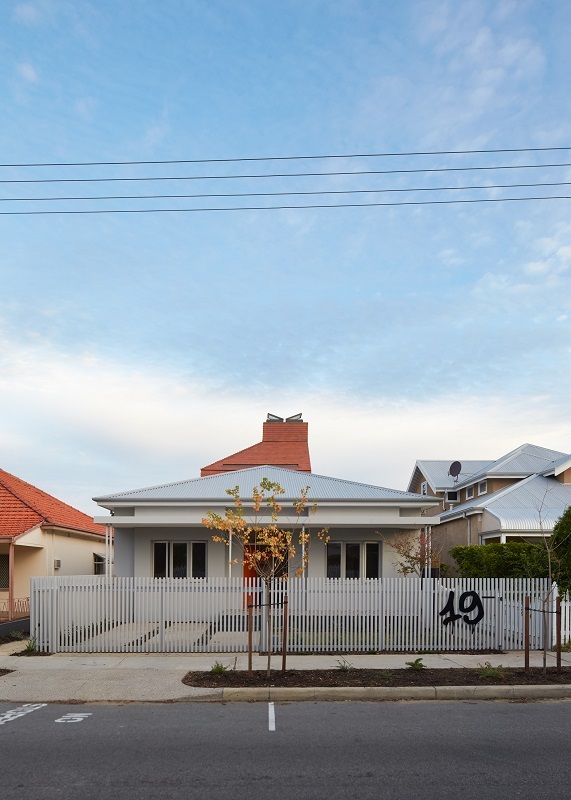 The Camino House is located in Mt Lawley, north of Perth. 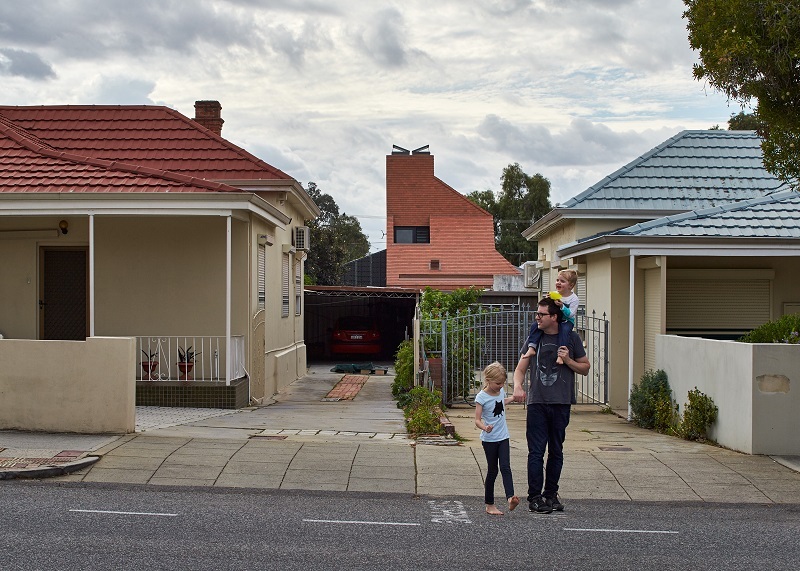 The suburbs vernacular is typified by an eclectic mix of federation houses with some remodelled in the European style, the result of a large Italian migrant population. This also brought a form of suburban agriculture to Mt Lawley: vegetable gardens, lean-to’s, drying sheds, incinerators, pizza ovens etc. creating another world of industry and infrastructure to the rear of these blocks. The Camino House is of this world. 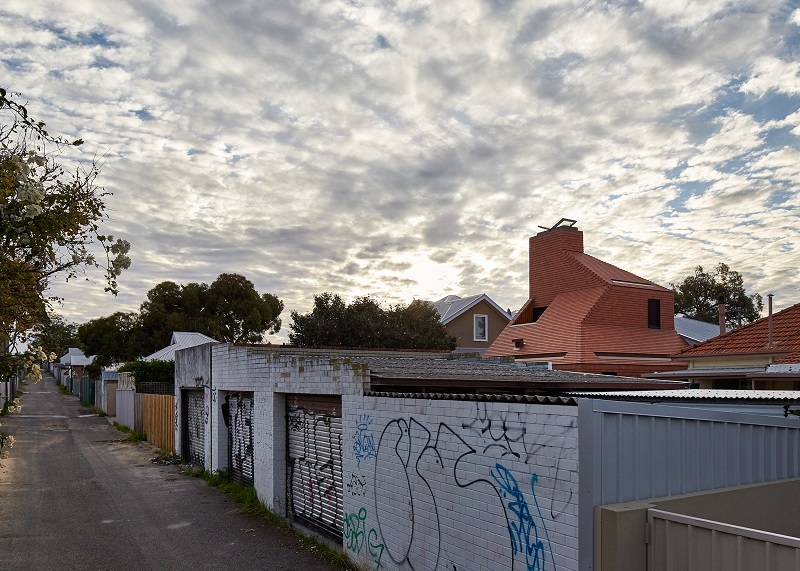 Designed in the manner of an ‘oast’, the new portion of the building mimics the surrounding chimney forms, of Vincent Street housing and the Lincoln Street Incinerator, creating a contextual ‘relic’. 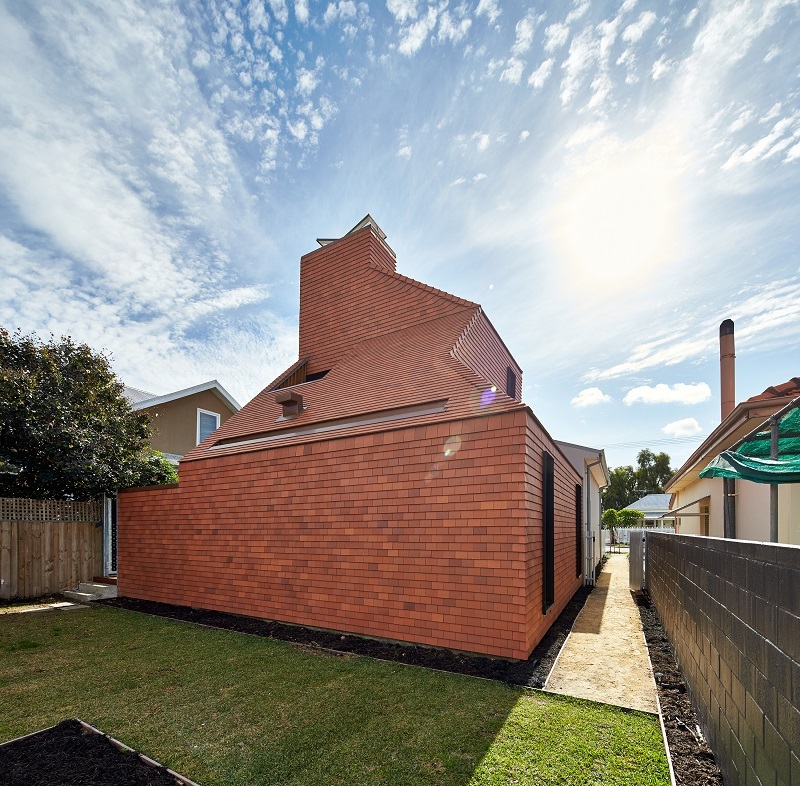 The new extension uses Marley Eternit's Acme Single Camber Clay Plain tile. It was chosen because it was a natural product, which could achieve both façade and roof to create a unifying sense to the form. The roofing contractors, Carters Roofing, worked closely with Architect and Builder due to this continuous surface, in order to achieve the numerous tile junctions. Both builder and contractor were consulted early on in the process to determine feasibility and to confirm critical details and capability of the product. "Strong contextual references and a singular material selection have created an emphatic house extension. The application of the roof tiles, which wrap the entire house in graphic continuity, is a testament to the collaborative process."